Impress future employers with an accredited qualification from Europe's foremost leadership and management awarding body: the Institute of Leadership and Management (ILM). CVCL has a proven track record of helping students achieve these industry approved awards. ILM courses aim to be flexible using work-based projects and assessments that focus students on real world challenges. You can also opt to study one of our electives as part of your existing university course. 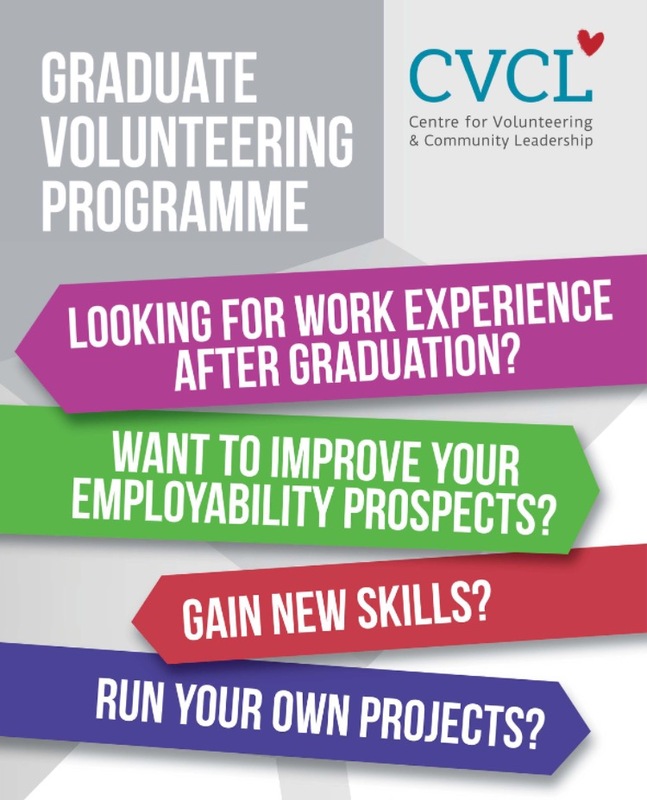 The Graduate Volunteering Programme aims to support UCLan graduates for up to 12 months after graduating. The programme is designed to boost your chances of securing a Graduate job. This Award is aimed at giving indivduals skills to lead, manage and support teams of volunteers. It will enhance leadership and management skills whilst developing structures, systems and procedures to support volunteering in your organisation. Develop the skills you need to become a confident and effective leader. This course is underpinned by a critical analysis of what leadership means and how it is applied in diverse, changing and challenging settings. This Award is ideal for individuals seeking to develop the skills, knowledge and confidence to mentor people. Explore different mentoring models and understand the role and responsibilities of good mentors.